Hanoi (VNS/VNA) - The country’s total retail sales and services revenue reached 2.24 quadrillion VND (98.6 billion USD) in the first seven months of this year, a year on year increase of 10 percent. The revenue, excluding the price factor, gained a year-on-year increase of 8.7 percent in the first seven months, 0.3 percentage points higher than the growth rate in the first seven months of 2016, reported the General Statistics Office (GSO). 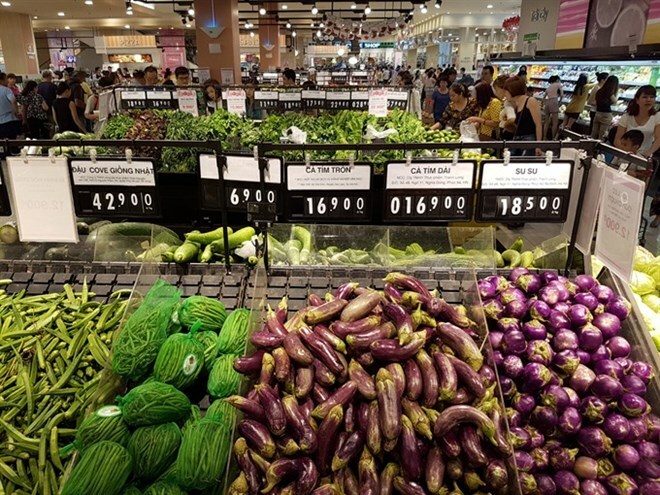 Of these, revenue of retail sales reached the highest at 1.68 quadrillion VND (74 billion USD), accounting for the three-fourths of the total revenue, a year-on-year surge of 20 percent. GSO’s domestic trade expert Vu Manh Ha said growth in purchasing power of the people during the first seven months was due to surge in demand for accommodation and catering services in July because of high school graduation examinations. In addition, the volume of foreign and domestic tourists rose sharply in the summer months, Ha said. Therefore, the revenue from accommodation and catering services in July went up by 11.3 percent while the revenue from tourism and travelling services managed the highest growth rate at 15.1 percent. During the first seven months, the total revenue from accommodation and catering services stood at 278.6 trillion VND, an increase of 11.6 percent against the revenue in the same period last year. The increase was higher than the growth rate of 8.8 percent in the first seven months of 2016.